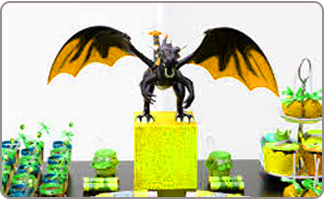 With some great dragon return gifts and a selection of dragon party decorations, you can host a dragon birthday party that is sure to be a soaring success. 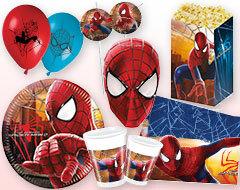 Plan to host the dragon birthday party outdoors so that there is plenty of room for the guests to run around and play. Start planning your party a few weeks in advance so that everyone has time to mark it on their calendar, and so that you have plenty of time to make reservations if necessary. If your yard is not big enough to accommodate all of the party guests, consider hosting the party at an area park or at your local YMCA or community recreation center. 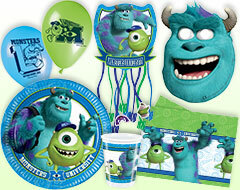 Order your dragon party favors and other dragon party supplies a minimum of a month out from the party. 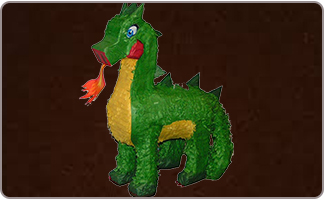 There can sometimes be shortages or delivery hiccups that might unnecessarily delay the arrival of your dragon party decorations. Cut out a castle, using some construction paper and a printed template. Decorate the castle using markers, paints, and possibly even some craft sand and glue, along with some mod podge, to give a much more authentic feel to the castle. 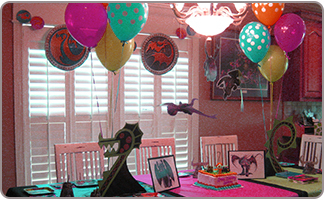 An alternative to a castle is to cut out the shape of a dragon and use sequins or other craft supplies to fashion unique and individualized dragon birthday party invitations. 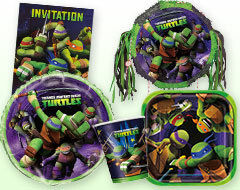 A sword or a shield will also offer great choices for the invitations for the dragon birthday party. A bit of foil or metallic paint can get the finish on the invitations just right. Faux fire is a great choice for the invitations, and can be achieved using red and orange tissue paper or cellophane. 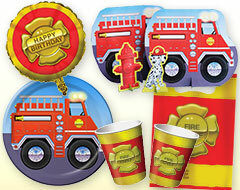 Creatively glue the fake flames to card stock, and write the party details on the back. 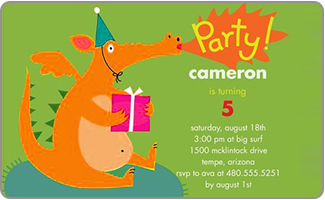 Pick up a package of preprinted dragon birthday party invitations to save you some time in preparing for the party. Don't forget to get some thank-you cards, in the same theme. Give every party guest their own foam or cardboard sword to play with. 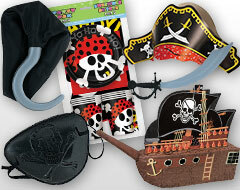 Or set up a craft station where they can decorate their swords with faux gems and marker pens. Pin the tail on the dragon is a fun twist on the classic pin the tail party game. A knight's quest to free a princess from the dragon will keep the kids occupied for a good amount of time. Provide each of them with a map to where the princess is being held captive, you can use a doll for the princess, and award prizes for bravery to the knights that find where she is being held. Pass the hot dragon's egg is similar to pass the parcel. Inside of the rounded box that is covered with multiple layers of paper, you can include a plastic dragon and some chocolate gold coins for the winner of the game to enjoy. If the weather is threatening to be gloomy, keep a few dragon-related movies on hand to provide entertainment if needed. Cut out the shapes of flames from red, orange, and yellow construction paper. Tape the faux flames around the party space. Hang some black, brown, and dark green streamers from the ceiling and from the entrances to doorways to give the feeling of a cave or a dragon's lair. 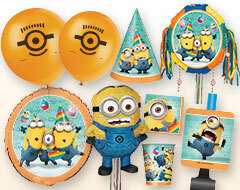 Get some black, yellow, green, and brown latex balloons, along with a few large Mylar dragon balloons and hang them around to decorate the party space. Cut out some dragon shapes and put them on the walls. You can also use cellophane and other foil papers to look like fallen dragon scales. Put some plush horses and dragons around the party spaces for extra decoration touches; these can also make fun party favors and prizes for the guests. Get a large cardboard box and create a castle from it. 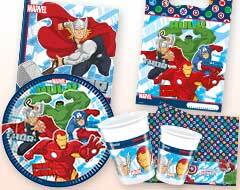 The kids can either help to decorate it as a part of the party activity, or you and the birthday boy can get to decorating prior to the party. 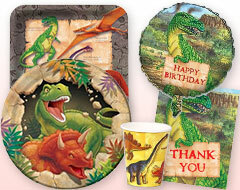 Dragon theme return gifts could include coloring books, non-toxic paints, crayons, and sticker sheets will inspire creativity long after the party ends. Send home some Hershey's kisses in little bags labeled "dragon scales" along with some red candies labeled as "dragon's kisses." Plush dragons, or plastic dragons, are a fun toy to send home, as are action figure of knights and horses to conquer the dragons. Gold coins and candy jewelry will serve as a tasty sweet treat to thank the guests for coming. Some costume jewelry, like necklaces, rings, and crowns will work wonderfully as dragon's loot, and can also be used as dragon party decorations while the party is going on. 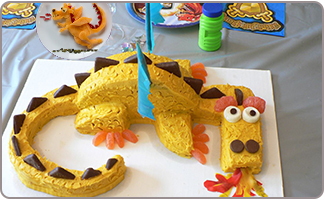 A dragon shaped cake is a superb choice for the dragon birthday party; include a dragon candle as the finishing touch. 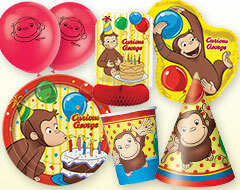 A sheet cake or cupcakes that are decorated with some dragon party favors will be a fun addition to the party. Feed their dragon-sized appetites with some chicken wings and dipping sauces, with a little note that calls them "dragon wings." 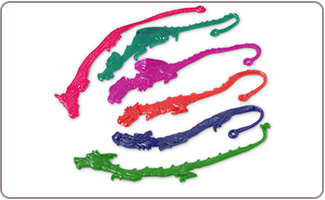 Use cookie cutters to cut sandwiches into dragon shapes; don't forget a few dragon sugar cookies, also. Fiery red and orange frosting on the cake is a fun addition. Spear sliced fruit, vegetables, cheeses, and deli meats with toothpick swords. Hershey's kisses, in different flavors and foil wrappers, will make excellent dragon scales for the kids to enjoy.